Christian was born in Belgium in 1947, two years after the war. He can still recall his youth seeing buildings in his town riddled with bullet holes and the Sherman tank on display in Bastogne, which was also suffering from multiple punctures . His first twelve years he lived in the flight path of an Air force base and had daily treats from European jets and an occasional Spitfire.buzzing close by, which helped create his lifetime love for aviation! Christian was a closet modeler for many years, simply because there was nobody near to share his interest until 1986 when he moved all the way from Belgium to the state of Texas in the USA and there he met his first modeler extraordinaire and shop owner, Chuck Beavil . 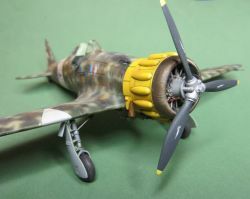 From that point on, Chuck and several other talented modelers inspired him to raise his modeling bar to a higher level. That pursuit continues to this day as he discovers new products and techniques and how best to include them in his day to day building. Access to the Internet has really been helpful, making it possible to learn so much more and continue improving. That includes not only reference photos but the how to articles as well. Christian has won many awards in competition, but, so far, only one best of show. However, he says he no longer enjoys building for competition. As I have heard so many times in my life, he thinks competitions have much more to do with judges than the reality of what truly is best. I think you’d have a ton of backers on that one Christian!!! He just enjoys trying to reproduce what he sees in a scale that fits his available space, and hopefully, continuing to improve his skills as he goes along. I am proud to Introduce a new Master’s Forum member, Christian Lacroix, (Phantom II). Michael lives in Australia where he began plastic modeling at the age of 12 with the odd 1/72nd scale plane or tank, with his dad in the Royal Australian air force there was never enough time to build up a collection due to moving around Australia and overseas models had been lost or broken. The modelling urge faded away until late in 1987 while still serving in the Australian Army. His interest was building tanks and anything that was military related in 1/35th scale. Later trending into building diorama’s, figures, and now ships and aircraft in either 1/35th or 1/32nd scale with the odd 1/16th scale figure thrown in now and then. Growing into the hobby in the late eighties before the internet, the inspirational source of devotion to the hobby was when he come across the Verlinden magazines and Shepherd Paine’s famous book, “Modeling Tanks and Military vehicles”. During the 90’s, Michael become involved in a couple of armour modeling clubs in Brisbane, gaining some achievements for his work in State and National competitions from 1998 through to 2015. The ultimate career high light and insight into plastic modelling was when he was given the opportunity to visiting Italeri Model's manufacturing plant in Balogna, Criel Models in Rome and Royal Models in Sicily whilst on a holiday in Italy. Visiting and competing in Euro militare the following year and meeting up with many of the tallented modellers around the globe was an ultimate goal achievement. Slowly drifting away from the local model club scene, Michael is now 51 years old with no children and a marriage of 25 years, to an understanding wife that has allowed his hobby to expand over 27 years. Michael has a strong passion to continue to build military subjects remaining close to his heart. 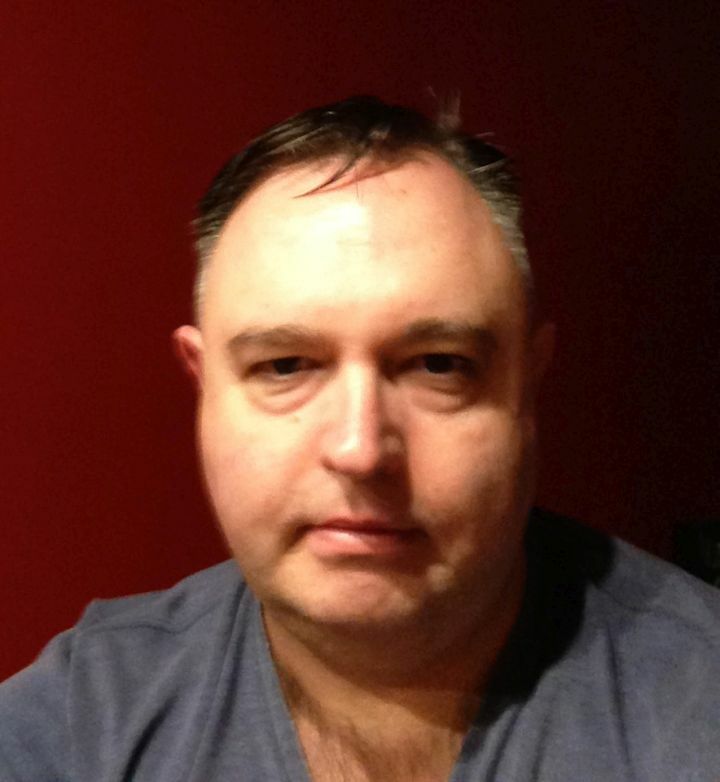 I am proud to introduce Michael Walsh as a new member of the Master’s Forum! James was born in 1970 as an Army brat. His interest in models began at around the age of 5 when his father built him some buildings and made a large layout with an airfield so he could play with his Roco Minitanks, Matchbox Cars, and Model Planes. Shortly thereafter, he built some of his own models with the help of his dad. 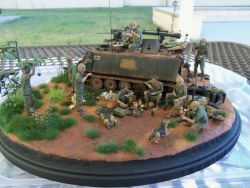 When he was 9 years old, he entered his first model contest with some 1/72 Airfix figures and a Roco APC in a diorama. At that point he was hooked on military modeling and was inspired by pictures he saw in magazines like Military Modeler in the early 1980s. His interests in Vietnam War subjects began at this time as he learned more about his father's service in Vietnam. His first IPMS show was Modelfiesta in San Antonio in 1983 where he first met Alex DeLeon who is a member of the Masters on Modeler's Alliance. Although he built a few vehicle models, he was primarily a figure and figure diorama modeler. Growing up as an Army brat, James developed a passion for Military History which went hand-in-hand with his modeling efforts. Shep Paine, Francois Verlinden, Bob Letterman, Chris Mrosko, Brett Avants, Doug Cohen, Bob Bethea, and a few others were inspirations for his modeling. Upon graduation from High School in 1988, James served 8 years as a Reconnaissance Marine in the USMC-R while attending Texas A&M University majoring in History. Several deployments interfered with school and modeling so he had to take a break from those periodically until he joined the US Army as a Light Infantryman with his first duty station being Fort Wainwright, Alaska where he had lived when he had his introduction to modeling back in 1975. While stationed in Alaska and being frustrated by there not being a local hobby shop until almost the end of his tour of duty there, he started his own on-line Hobby Shop business specializing in Vietnam models and special orders for the members of his model club. After being stationed in Texas and becoming a part of the Active Guard/Reserve force (AGR), he continued modeling and attended his first figure shows. Unfortunately, he had to take a break from modeling again due to multiple deployments to Iraq and Afghanistan. This also resulted in the closing of his Hobby Shop business. After recovering from some head injuries, he started modeling again in 2010 and was pleased to find that the hobby had evolved quite well and there were more figures on the market that were of high quality. In 2012 he deployed to Afghanistan for the last time bringing some materials for sculpting and figure conversions with him for him to work on during his down time. He wasn't able to start working on anything until February 2013, but did manage to sculpt three figures and convert a few others before returning to the US. Upon return, he was assigned to a Warrior Transition Unit at Fort Sill, OK for several surgeries. Between surgeries and therapies, he continued to follow his passion of modeling and ran a Art and Modeling Group for WTU Soldiers to help them with their fine motor skills. He also had the opportunity to intern as a Museum Exhibits Specialist at the Air Defense Artillery Museum where the Museum's Director was also a modeler. He joined the local club and ventured into Armor modeling for the first time. He made several models for the museum and helped with the 1/35th scale conceptual model of the new facility being built to house the new Air Defense Artillery Learning Center. When the WTU at Fort Sill closed down, he was transferred to the WTU at Fort Hood, TX where he he continued his internship at the !st Cavalry Division Museum until he retired from the US Army with over 28 years of service (20 years of Active Federal Service and 8 of USMC-R and TXARNG Service) and 15 deployments under his belt. He feels that his service has helped him create realistic atmospheres and tell effective stories with his models. 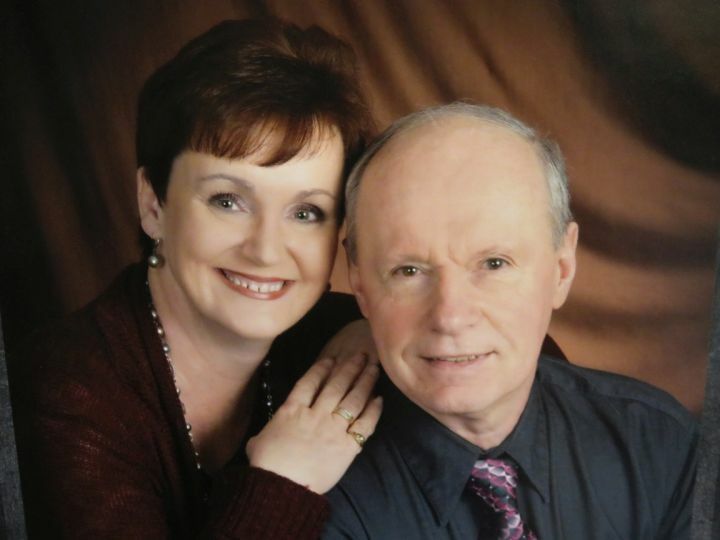 I am proud to introduce Jame’s O’Leary as a new member of The Master’s Forum.